I’ve always wondered how stylists really work. Do they work with or against you? I’ve seen the ‘style booths’ set up in malls and honestly, I don’t think much of the ‘makeovers’ they do. They seem to be interested in squishing women into whatever the latest release from a store is, rather than working with the person. Perhaps these middle-mall booths are paid for by the stores? I don’t know how it works. I would love to spend some time with a stylist when I have the moolah. But there are a lot of things I require, and I just don’t know if a stylist would work with me on these. I’ve complained before that I am totally between sizes. And not just between sizes, but between ‘regular’ and ‘plus’ sizes. So basically things are either tight or a shapeless sack on me. This makes shopping instantly tiring, because I have to not only take at least two sizes of clothing into a changeroom, but I also have to look in both the regular and plus size sections of a store. If they have both! I would be beyond thrilled if a stylist could narrow this part down for me!! I never learned to walk in heels. I also can’t learn – I damaged a tendon in my ankle a few years ago and if I don’t wear supportive, sneaker-like shoes it’s uncomfortable to walk. If you can’t wear heels, the most common suggestion is ballet shoes. But they don’t meet my support requirements. And I have wide feet. And I’m a size 10-11, so ballet shoes very rarely fit me (I’ve literally found one style, ever). I don’t need orthotics, I just need decent support. That seems to leave me with clunky looking shoes designed for people who stand all day, like nurses. I sometimes luck out with standard shoes, but most of the time wear something sneaker like, such as Colorado walker shoes. I was recently recommended Birkenstocks so that’s on my “to check out” list. I don’t like the stuff. I haven’t worn it in about 10 years. Barely wore it before that. Brisbane is a humid place. Gooey stuff sliding off my face is like fingernails down a blackboard to me. I’m sure if you add different products or layers, the makeup stays on. But I tend to crawl out of bed 10 minutes before I leave in the morning, so that wouldn’t work. 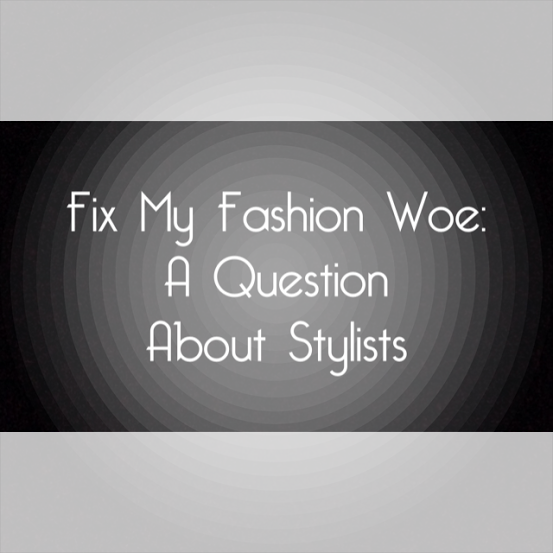 Are you a stylist/have you ever seen a stylist? What was it like? I’ve never seen a stylist but reckon it would be awesome, but like you, money means it’s not gonna happen anytime soon in our house! I’m with you on the whole gap between regular and plus sizes. I’m a 14 – 16 and it’s annoying as all heck! It’s so frustrating!! I spent ages looking for jeans before finding some in Millers…now they’re a bit of a go-to for me cos it’s not quite as fuddy duddy of a shop as I had thought it was! They just seem to put the ugliest stuff out the front haha. I have a few friends who are stylists (who I hasten to add I’ve never seen professionally – don’t think of me as the world’s worst advertisement for them!) and they definitely work with you and your actual wardrobe and your style before even thinking about suggesting new pieces. I’d say those shopping mall ones are just there to sell, sell, sell. A friend of mine with size 13 feet (and orthotics) swears by Diana Ferrari. There is also apparently a custom-making shoe shop in Melbourne. Can’t remember the name – will ask her. Hit me up on Twitter if I forget to pass it on. I’ve had that suspicion that the shopping centre ones are sales people rather than ‘real’ stylists, so it’s nice to know I’m not just a suspicious person haha. Good tip on the Diana Ferrari! I follow a few different stylists on both Facebook and instagram and find they share lots of valuable information. Following them, learning from them, observing and absorbing is really helping me to gain confidence in my wardrobe. I am amazed how much this confidence in my appearance is spreading to make me feel better full stop. If I had the money, I would hire one in a heart beat. At the moment, I just attempt to gleam what I can from following. I do follow one on Facebook & IG, I think that and seeing them in the shops is what got me thinking! I think I have finally found my groove when it comes to fashion, although a little more cash would help me out immensely!